An official collaboration with the fun and flirty Ban.do. 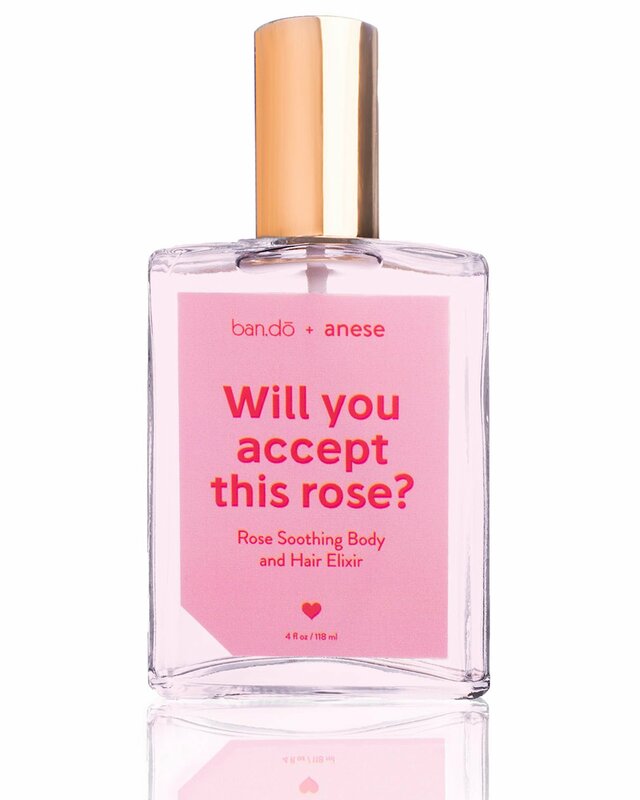 Will you accept this rose smells like a full bouquet of red roses. Formulated with rose water, rose oil and aloe vera. Our hydrating elixirs smell amazing and hydrate your skin. All of our products are a blend of natural ingredients that work to moisturize and soothe.